The current job market is hot, and with unemployment at a low, many employers are struggling to attract top talent. While most industries are struggling to recruit the best people, those who are looking for qualified cybersecurity personnel might need to dig deep into their reservoir of patience. Hiring managers tasked with posting cybersecurity jobs are seeing those postings linger for months, and recent studies show that there’s no end in sight to the shortage. A jaw-dropping October 2018 report from the cybersecurity and IT security professional organization (ISC)2 shows that the gap accounts for almost 3 million open positions globally. That large of a gap in the workforce is going to take some time to fix, though there are some steps you can take now to try to increase your organization’s likelihood of attracting the right candidates. To help understand the roots of this dilemma and how hiring managers can attract top-quality cybersecurity talent, we spoke with Kurt Heikkinen, the President and CEO of Montage, a provider of artificial intelligence (AI)-driven hiring solutions for a quick Q&A. Q: We’ve been hearing about a talent gap building in cybersecurity for the past couple of years. What factors are driving the supply/demand disparity in the cybersecurity talent pool? A: There are a number of factors that have contributed to the cybersecurity talent gap. For one, with most companies undergoing digital transformations, it has been a challenge to fill cybersecurity roles as technology is beginning to replace some of these positions. Additionally, a large number of companies outsource their cybersecurity talent—meaning they rely on contractors and third-party vendors to handle cyber-related issues. Because of this, companies have failed to grow and invest in building their own cybersecurity teams within their organizations. Q: What steps can companies recruiting cybersecurity talent take to begin addressing the problem? A: First, more organizations will have to commit to both equal pay and zero tolerance for discrimination. However, this alone won’t be enough to close the gap. These individuals are highly educated and highly technical, and your employer brand and interview experience should match the type of experience cybersecurity talent would expect. This can help companies to get ahead of the competition and make a better, faster, and smarter process for the candidate. 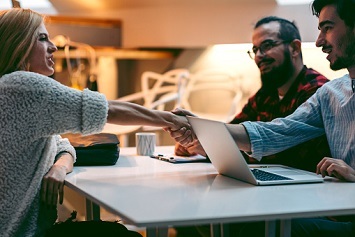 Additionally, as Millennials start to age into their 30s and a new wave of Gen Z candidates enter the job market, talent acquisition teams need to adapt to changing customer demographics and realign their recruiting tactics in a way that is attractive to all generations. Q: On a similar note, what technologies can recruiters put in place in order to attract the best talent on a more diverse scale? A: Recruiting technology can help eliminate bias during the process, which in return can help attract more diverse talent. For example, our own Unbiased Candidate Review solution leverages AI to ensure candidates are only evaluated on the content of their responses. When an on-demand video or voice interview is completed, candidates’ identities and voices are concealed until after the hiring manager enters feedback and a yes or no decision is made to advance the candidate in the process. Solutions such as this can help employers ensure they are working toward creating a more diverse, inclusion workplace. Q: If an organization is looking to an AI-driven recruiting solution, do you have any tips for curbing any potential digital bias in the recruiting process? A: Bias could occur at any point during the recruiting process. It could start with the job description that’s posted to attract candidates through the rest of the interviewing process. First, you have to understand where in the process you are experiencing the biggest challenges and look at technologies that could help. Next, you have to understand that even though you are using an assistive technology, this technology has an opinion, and the opinion came from the algorithm that was programmed. Ask yourself, “Who is teaching the machine?” and ask these questions of your technology provider. Reexamine the technology provider’s algorithms to make certain its programmed goals are being accomplished—such as ensuring the algorithms are reducing bias rather than introducing it. As president and CEO of Montage, Kurt Heikkinen is responsible for business operations and the overall success and growth of the company. Heikkinen has a proven track record of leading start-up companies and large enterprises through technology product launches to serve rapidly emerging markets. 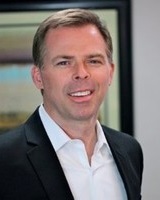 During his 20-year tenure working with enterprise software within the talent management and SaaS domains, he has held senior executive positions at PeopleSoft, Inc., where he helped grow the company from $50 million to more than $1 billion in annual revenue; Evolve, Inc., where he was instrumental in raising $45 million in funding and taking the company public; and Metavante. He earned his BS in Computer Science from the University of Wisconsin-Milwaukee.